All SUNSET HOLLOW HOA homes currently listed for sale in Lehi as of 04/18/2019 are shown below. You can change the search criteria at any time by pressing the 'Change Search' button below. 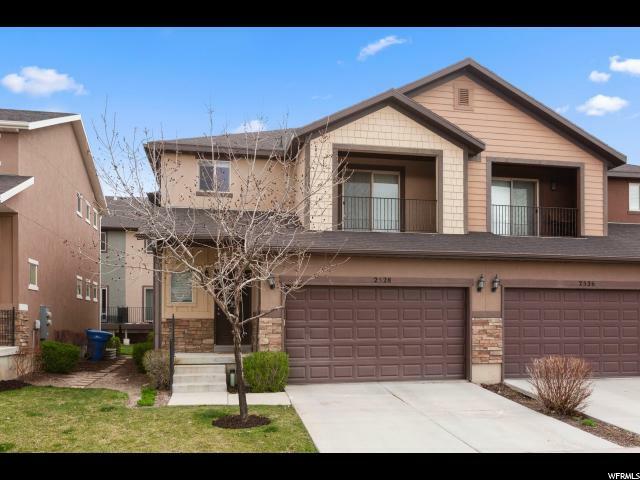 "Beautiful townhouse with lots of wonderful upgrades nestled in a fantastic community, 4 mins from I-15 with easy access to all that Thanksgiving Point has to offer. Next to Frontrunner station! Spacious, vaulted master bedroom and two enormous bedrooms. Basement is fully finished with extra full bathroom for guests. Community includes a clubhouse, swimming pool, and two playgrounds. Includes Nest thermostat, overhead garage storage, built-in shelving in cold storage and more! See it today! Square footage figures are provided as a courtesy estimate only. Buyer is advised to obtain an independent measurement."